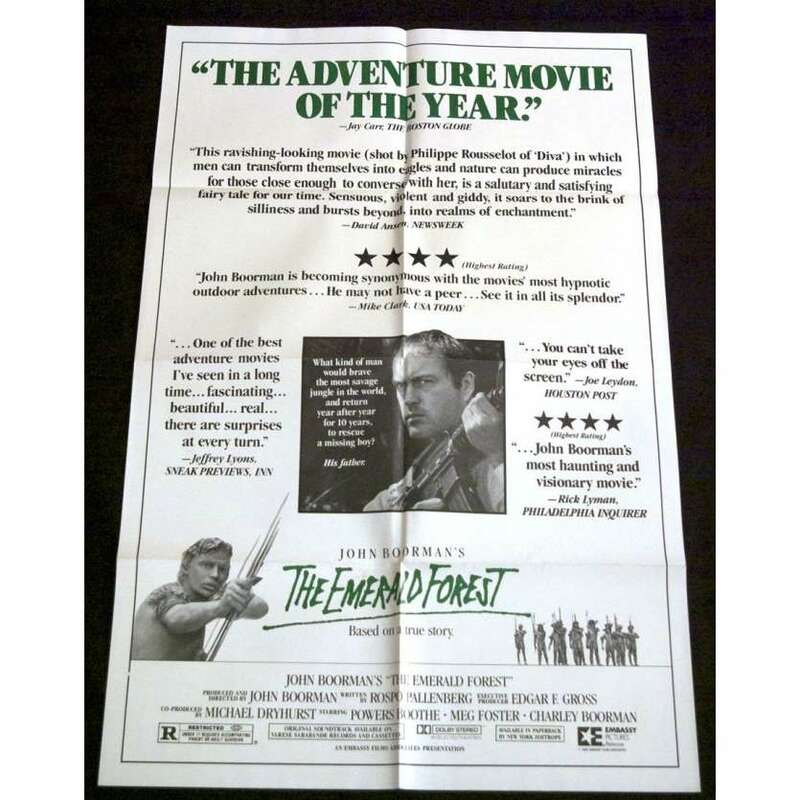 > Movie Posters>Film Posters>EMERALD FOREST reviews one-sheet movie poster '85 John Boorman, true story! 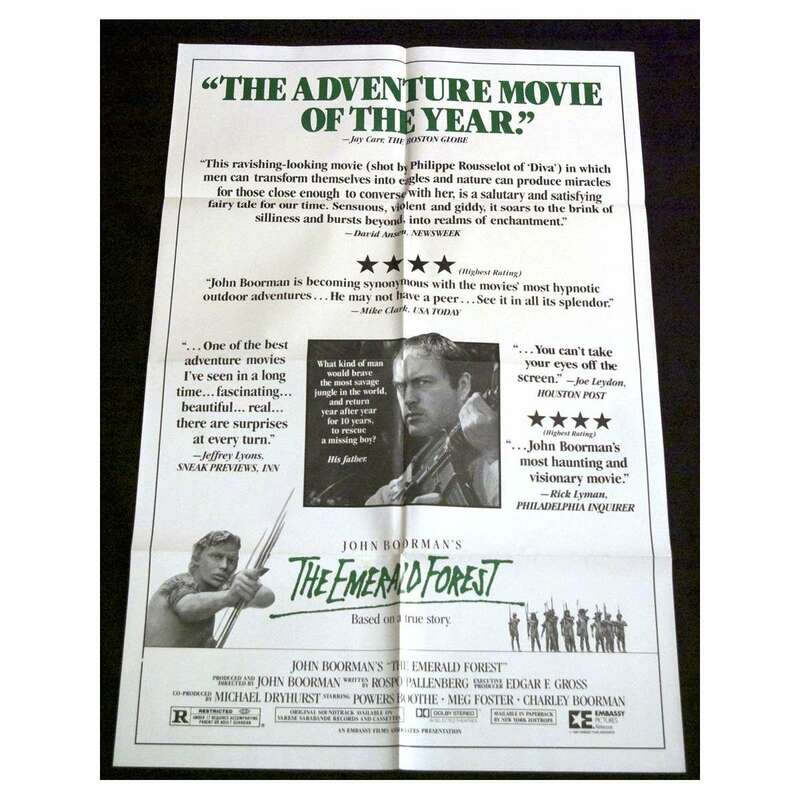 EMERALD FOREST reviews one-sheet movie poster '85 John Boorman, true story! An Original Vintage Theater-Used Unfolded One-Sheet Movie Poster (1sh; measures 27" x 41" [69 x 104 cm]) Condition: Very Good (C6) See our 10 GRADE SYSTEM Page for more information.